The lawyers in Davidoff Hutcher & Citron’s Administrative Law group actively represent clients in matters before city, county, state, and federal government agencies and administrative tribunals, particularly in regard to the New York City Administrative Code and the New York Codes, Rules and Regulations (NYCRR). 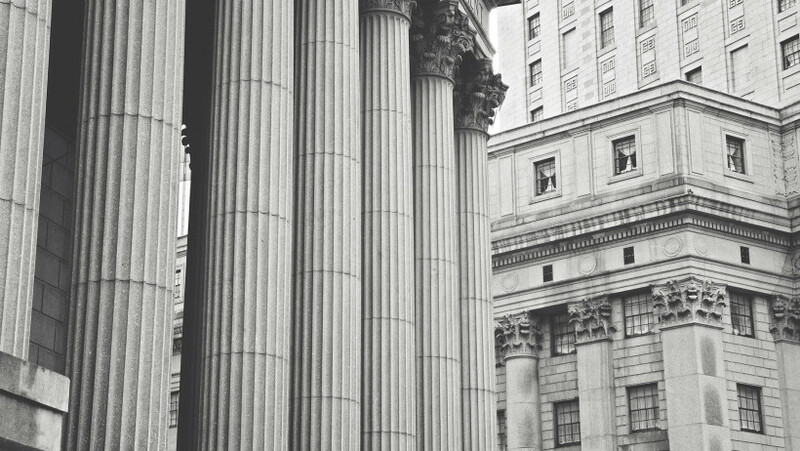 The administrative lawyers in our New York City, Long Island, Albany, and Washington, D.C. offices are experienced in the practice of administrative law on State, City, County, and Federal levels. We have great experience in the New York City Administrative Code, which governs nearly every aspect of doing business in New York City. Our administrative lawyers handle a vast range of matters involving administrative law practice, including applications for business licenses and permits, responses to bid solicitations and requests for proposals, violation proceedings, condemnation proceedings, and enforcement proceedings. Our administrative lawyers also have broad experience representing the interests of our clients in rule-making proceedings. They are experts in the requirements of the New York State Administrative Procedure Act as well as the City Administrative Procedure Act under the New York City Charter. Counseling clients on zoning and land use in New York City and aiding in the approval process of real estate improvements and development are a large part of our Administrative Law practice. We assist clients in obtaining a wide variety of government incentives and benefits in connection with the development of their property, as well as in securing approval for their projects. The Administrative lawyers of the firm have extensive experience with respect to the development and operation of places of public accommodation, such as entertainment facilities, hotels, art galleries, museums, restaurants, bars, night clubs, and other hospitality industry businesses that have special licensing needs, including liquor license application with the State Liquor Authority, New York City Department of Health licenses, cabaret licenses with the New York City Department of Consumer Affairs, special permits with the New York City Board of Standards & Appeals, and public assembly permits with the New York City Department of Buildings. The firm’s administrative lawyers on Long Island and in Albany similarly practice before a wide array of agencies, boards and commissions that affect virtually every aspect of the lives of New Yorkers and the operation of their businesses. The firm’s administrative lawyers in New York City and Long Island are particularly skilled at advising property owners, developers, architects and engineers on zoning and land use issues, including various tools they can use to help maximize the value of a property. Our administrative lawyers have the knowledge to handle virtually any issue that comes up with respect to developing or improving a property. The firm’s land use clients in New York City and Long Island benefit greatly from the involvement of our administrative lawyers at the earliest stages of development, helping them to determine the best course for realizing their development expectations and maximizing the value of their properties. Developing property in New York requires dealing with a multiplicity of government agencies on zoning and land use, as well as other various aspects of the project. The public review process can become a labyrinth, especially when a zoning change, special permit or variance is required for the project. Our administrative lawyers help clients achieve their objectives beginning with strategic planning and continuing through the conclusion of the public review process. Our lawyers counsel clients as to what is required under the applicable municipal zoning ordinance and the steps they must take to accomplish their development expectations for the property. They provide invaluable counsel to prospective property buyers in determining the real value of the property based upon the analysis of applicable zoning requirements and municipal codes. Our Administrative Law practice spans almost four decades and is well known for its effective and successful interaction with New York State, New York City, and Long Island agencies, boards, and commissions. The firm enjoys an excellent reputation among officials and employees across all levels of government, who respect the knowledge and expertise of DHC’s administrative lawyers. We use this extensive government relations experience to meet our clients’ needs and move their projects through the agency review, allowing us to facilitate applications, licenses, permits, hearings, appeals, and violations resolution.